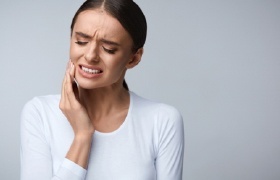 If you or a loved one suddenly find yourselves in need of immediate dental care due to a knocked-out tooth, severe toothache, or damaged piece of dental work, you can always turn to Dr. Cowell to get the help you need. We’re ready to accept emergency patients and do whatever we can to relieve their pain and repair their smiles as fast as we can. You can never plan for an emergency, but with us, you can have the peace of mind that you’ll be well taken care of should one ever occur. We do our best to fit urgent patients into our schedule during their time of need. With over 20 years of experience in dentistry, Dr. Cowell has pretty much seen and done it all when it comes to dental emergencies! He’s just the person you want to see during a stressful situation. In our practice, he also utilizes the latest technology so he’s able to find, diagnose, and treat problems as quickly as possible, which is especially useful during an emergency situation. He works to not only get a patient out of pain, but also ensure that their emergency won’t pop up again later. Many people facing a dental crisis are tempted to visit their local emergency room, but they typically end up waiting for hours before they are ever seen. In most cases, they’re sent to a dentist in DeLand anyway! When you need dental care NOW, the best thing for you to do is simply call our office. We’ll get you in as fast as possible, preferably the same day, so we can help you return to normal life without making you spend hours in a waiting room. If you’re experiencing pain in a tooth, try flossing around the area to make sure it’s not an object stuck in between your teeth. 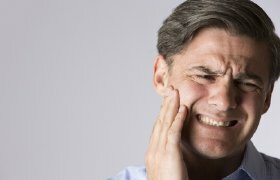 If your pain persists, you may have decay or an infection that requires a root canal. Contact our office right away to get treatment before your potential infection spreads. If you chip or crack your tooth, apply gauze to the affected area to stop bleeding. Try to pick up any pieces of your tooth that you can and call our office. Dr. Cowell, an expert emergency dentist in DeLand, will examine your tooth to see if it can be fixed. If it’s too damaged or fractured, he may need to extract it altogether. A knocked-out tooth can be traumatic, but there’s a chance that it can be replanted. Pick your tooth up by the crown and rinse it off. Then, try to place it back in your socket, holding it steady with your tongue. If this isn’t possible, keep your tooth in milk or water to keep it moist until you can visit our office. Losing a filling or crown can be painful because it exposes the sensitive inner portion of your tooth. You can use dental cement found at your local drugstore to reattach your crown or even sugarless gum to cover up the affected area. After you’ve made yourself more comfortable, contact our office for treatment. 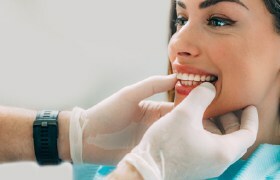 Preventive services like your routine checkups and cleanings keep your teeth healthy, but they also detect any issues while they’re still small to avoid emergency. Because there are so many factors that play a role in the cost of dental emergencies, it’s hard to provide an exact estimate. Some emergencies can be treated by simply giving you antibiotics, while others may require more extensive procedures. Dr. Cowell does his absolute best to provide patients with dentistry that is both quality and affordable. 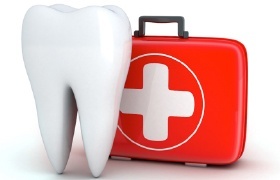 If you have an emergency or a dental issue, contact our office to receive an in-depth examination. He will then be able to recommend a proper treatment plan as well as a precise estimate of cost. Should you ever need an extraction, Dr. Cowell will use his expert touch and plenty of local anesthetic to ensure you are comfortable the entire time. Call us today to request an appointment for any dental issue that you may have.